The book is another winner. Love the knitting looms used as pin looms. Thank you so much. I have a favor to ask of anyone who has bought the book. If you like it or if you DON'T like it, please consider leaving a review. I would prefer that everyone who decides to buy the book feels good about their decision. An honest review helps people choose whether or not to buy a book and therefor it reduces the number of people who would regret buying it. Give future readers your opinion about what works or doesn't work in the book. Thanks. I got my copy yesterday and did a skim through. I saw so many projects I want to do! 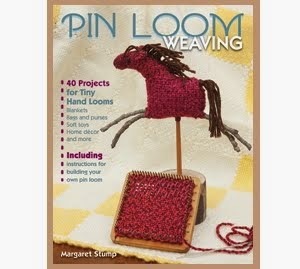 I have your other pin loom book as well. So I need to make some time to sit down with a cup of tea and go through this book slowly to take it all in. I really need to sit down as well and do more of this type of things. I am on the computer too much. But, then I wouldn't have found out about this wonderful new book coming out. 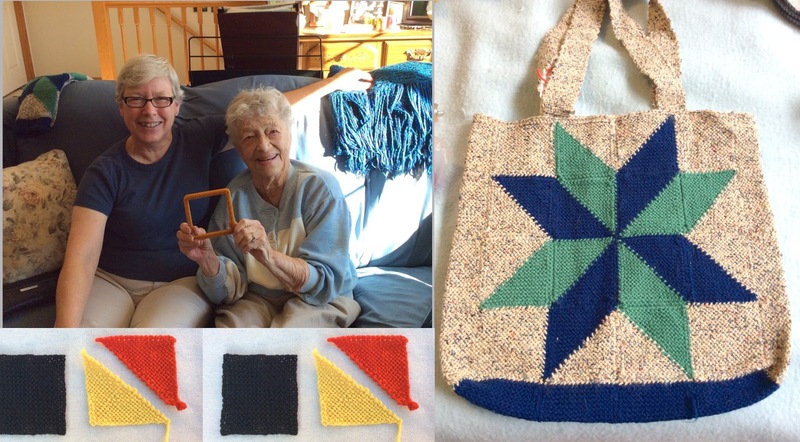 I have Pin Loom Weaving and love it. Now I just need to make time. 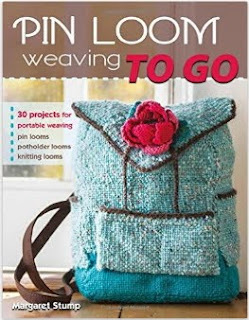 That is one of the great things about pin loom weaving, you don't need enormous amounts of time, you can do a little bit at a time. This book would never have come about except that I love to weave squares while I watch TV.